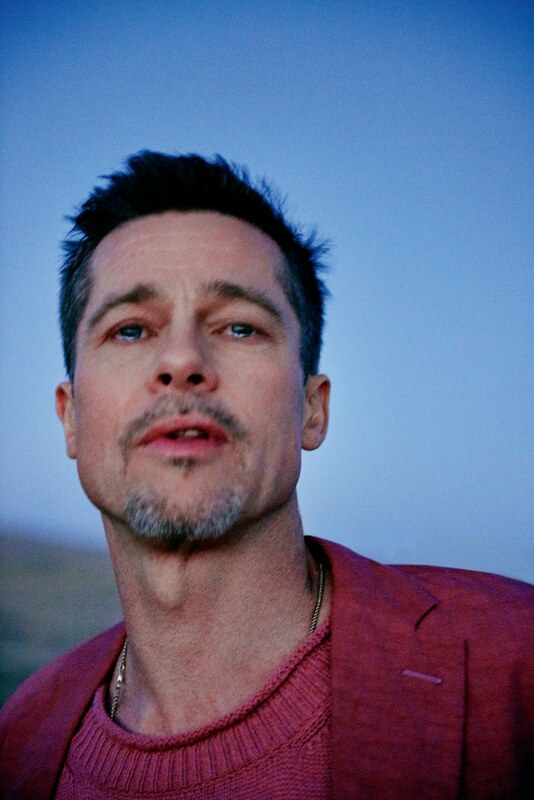 Brad Pitt, the 51-year-old Hollywood celebrity, is an atheist. He’s recently spoken out against his “Christian” upbringing with some observations that, though coming from a professing unbeliever, ought to cause us as believers to pause. Pitt’s superficial observations are, after all, inherently logical. They make sense for the believer and the unbeliever. Pitt’s atheistic observation of the unblurred lines between charismatic “Christianity” and secular entertainment is spot on in two regards. 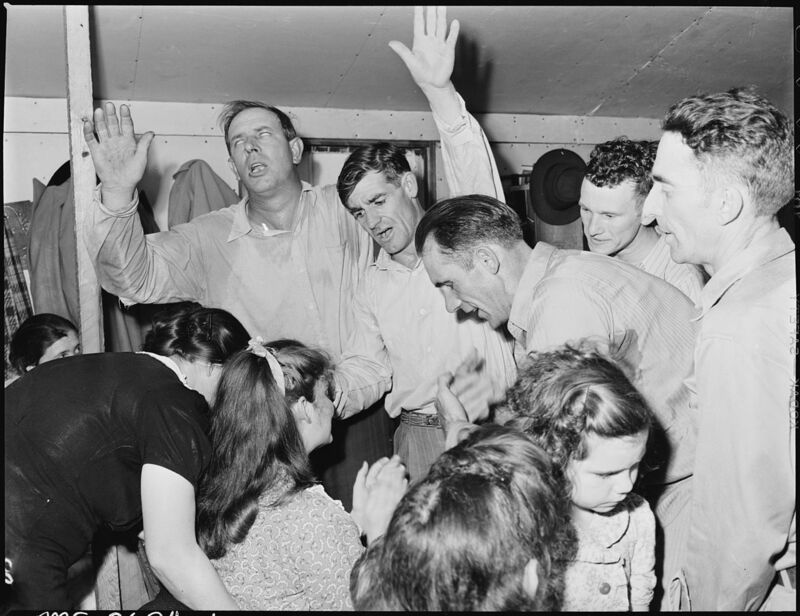 First, the charismatic movement is indeed – in Pitt’s crass vernacular – some “goofy-a** sh**” resembling nothing remotely close to the exhibition of the “gifts” in the New Testament church. Secondly, Pitt’s comment, “it felt like we were being manipulated,” is an altogether appropriate observation because, in fact, participants are being manipulated. In some cases, this manipulation is diabolically rooted, while in others it is the self-deluding power of – and desire for – emotional frenzy disjointed from Scripture and uninformed by it that, again, reflects nothing like what is witnessed to in the New Testament narratives of the early church. These two observations by the atheist Pitt should give us pause as Bible-believing Christians. It should make us understand that an unbelieving world is looking on, watching, observing. Is there a distinction, especially in our worship, that evokes reverence, holiness, and points to the Gospel of a self-revealing God who has made Himself known and knowable? Or does “worship” look like the rock concert? On his charismatic observations, Pitt is right. The movement is dominated by bizarre, irrational behavior that is repulsive. It is repulsive to the rational thinking pagan. And, it is repulsive to the Biblically-informed, rational-thinking believer. It is repulsive if you happen to believe that God, among all His depthless attributes, is omniscient. God is smart, very smart. It’s not that the characteristic of “smart” exists as some quality of measure outside of God that He strives to achieve and exhibit. He is perfectly smart because He is Truth. (John 14:6) He is “smart’s” definition. Given God’s smarts, it seems remarkably, bluntly inane that He, the sovereign creator God of the universe, would choose to completely bypass rational human thinking – which, btw, He created – and normal human speech – which, again, He created – to animate His creatures in ecstatic gyrations of irrational gibberish. Why would a “smart” God do this? We know He is a God who has revealed Himself and wants to be known and worshiped. How “smart” is it to veil presumed godly behavior behind an unintelligible facade of supernatural spirituality? As for modern “prophecy,” it is blasphemous to suggest that God’s accuracy rate has suffered entropy over the last two millennia. (Given that charismania only reared its deceptive head at the turn of the 19th-century, the prevalence of such “prophecy” is barely a century old. Another sign as to charismania’s illegitimacy.) But God’s not diminished in His omniscience, nor is He incapable of reaching us in some other way like, say, His inspired, providentially-delivered, and perfect Word. Though the movement feebly attempts to justify itself by citing spuriously interpreted Scripture, the appeal of charismania is hardly Scriptural and staggeringly untheological. How theological can it be when the most superficial behavior exhibited by apprehending its doctrines is a frothy-tongued expulsion of unintelligible shrieks and shrills that are more at home in a carnival’s tunnel of terror than in the midst of presumed worship of our Holy God? When prophetic “words from the Lord” rarely and barely scratch twice the accuracy rate of your daily horror-scope, you’re admitting to faith in a less than perfect God. The appeal of charismania is something that Pitt found served up with equal effect at a rock show or a revival. This should tell us something. In a 2007 interview, Pitt sheds some light on this natural craving, one he found capable of being filled at either a Holy Ghost revival meeting or a modern rock concert. The message from atheist Pitt is clear. And it’s a message that is resoundingly echoed from all corners of our post-modern, subjective culture … “I wanted to experience things.” This pursuit of experience is also what drives charismania, slathered as it is with the superficial veneer of “Christianity.” Yet, as the Apostle prayed for the Colossians, it’s not experience but knowledge that leads to understanding that is emphasized. The experience of being “moved by the Holy Spirit,” as Pitt noted, can be fluidly compared to the charismatic lady’s “Glorious baptism of the Holy Ghost.” But the fervor of the rock concert seems little different that the “Glorious baptism” experience. Only the labels are different. Really? As Bible-informed believers, can we give an “amen” to this rebranding of heathenistic fervor as “Christian” when performed in a church setting? Surely not. The radio dial and the concert venue is brimming with toxic abuses of Paul’s warning for believers. (So, too, is the overwhelming bulk of the television line-up.) Not only are the “sons of disobedience” reveling in the sins noted by the apostle, but they are singing about them too. For Pitt, then, to attribute his revival feelings “by the Holy Spirit” to the same sensations he got at a rock concert is quite telling -but not for the atheist … for the revival hosts. The Spirit of God does not laud the behavior of the wicked, nor does He mimic it. But these are pleasurable, powerful emotions. For the world, though, to look on at what is increasingly becoming the face of Christianity around the globe – charismania – and see something that is little different than a theatrical, percussion-pumping production is an egregious affront to the Holy God who also calls us to “be holy as I am holy” (1 Peter 1:16). Such an unblurred distinction tragically stunts a condemned already (John 3:18) world’s capacity to hear the clear Gospel through the cacophonous charisma. When your Sunday morning worship could be easily mistaken for a Friday night rock show, whatever you feel ain’t from the Holy Spirit. What’s worse, as shown in the conversation I had, the Gospel isn’t even evident. Salvation, according to the charismatic lady, is assured only by her post-baptism-of-the-Spirit use of her supernaturally endowed gifts, not by grace alone through faith alone in Christ alone. While Scripture is our guide, and though Scripture contains the Gospel – the power of God for salvation (Romans 1:16) – its redemptive message is not a gifts-focused “do this, keep doing it, and be saved.” Once saved, we are compelled – by the Spirit – to obey the Word, but that obedience is not grounds for our salvation. When the Gospel is not the forefront and “salvation” comes by some other means, false conversions and legalistic responses ensue, while the eternity of the “saved” remains unchanged. The lady I spoke with affirmed as much saying, “If I continue to walk in holiness and obedience, I will be saved.” This “salvation by supernatural gifts” is unbiblical and not salvific. The point is this: if an atheist perceives the same behavior as having no distinct lines of demarcation – what’s truly of the devil and what’s truly of God – then Brad Pitt, the atheist, isn’t wrong and the “church” has a problem. While he needs to repent and believe the Gospel – as does the charismatic lady I engaged with in conversation – Pitt’s assessment of charismatic Christianity is accurate. To the onlooking world, what looks like ecstatic nonsense is precisely that. To the Scripture-informed believer, what looks like ecstatic nonsense is a doctrine-void, emotions-driven movement that deters – not reinforces – the preeminence of Scripture for the believer and for the church. In charismania, the offer of ecstatic, emotional fervor is distinguished from the pagan world only by location, and that location is little more than a moralized, alcohol-free venue beslimed with Christian-ese. Please pray for Pitt’s eyes to be opened to Gospel Truth. Pray for the charismatic lady’s repentance and belief in the true Gospel. And pray that charismatics would shun their century-old fascination with ecstatic emotionalism and rely, instead, on the two-millennium-old veracity of God’s proven Word.